This Type 89 I-go medium tank has a mix of early and late features. The turret cupola is the old model, which also acted as the commander's hatch. The tracks are the later type with smaller links. The glacis plate is an intermediate flat sloped version, but with the driver and gunner in their original positions. 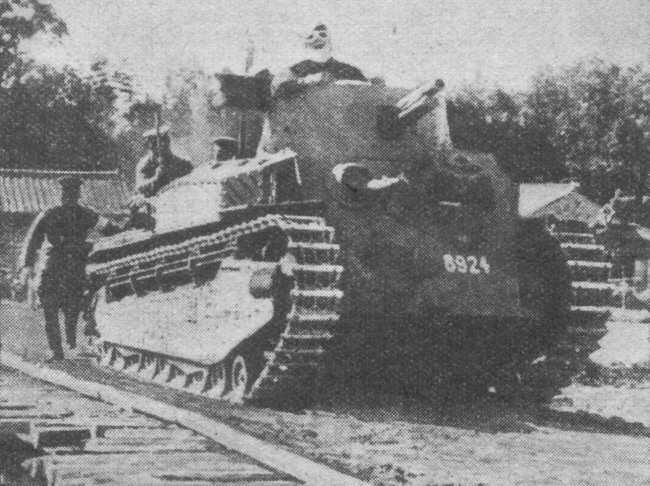 The tank is shown crossing a temporary bridge during army manoeuvres.